Throughout its 210 year history, Old Mission Santa Inés has overcome natural disasters, political turmoil and financial hardships to emerge as one of the most successful of the southern California Missions. The Mission has endured a rebellion, social upheaval, neglect and decay only to rise again through restoration and repair as one of the hidden gems of the California missions. The Parish Men's Club is proud to be a part of that restoration process. In 1971, Fr. 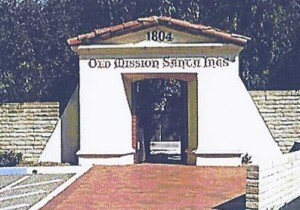 Roger Andersen, OFM Cap., became pastor at Old Mission Santa Inés. One of his first decisions was to gather active men of the parish and form The Mission Men's Club. Joe Airey has been an active member since the Men's Club was started by Fr. Roger in the early 70's and was President for 15 years. Bob Leite, our current President has been an active member since 1979. The men assisted Bill with many projects until a full-time maintenance crew was hired. To accomplish the goal of raising money for restoration, the Parish Men' Club organized and chaired the Mission's annual Fiesta for the first 25 years to raise money for restoration. 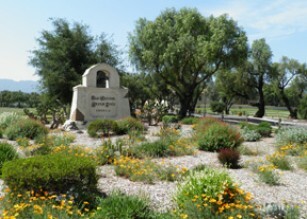 Since then, the Parish Men's Club has been active in Grounds Projects, Restoration Funding, San Lorenzo Seminary projects, and Community service. The Parish Men's Club of today will consider any project or service within its means and capabilities and strive to be open to all new ideas from it members.